For many artists, we have added suggested art pieces. However, feel free to choose pieces that appeal to you. If you use books, pick the pieces that most appeal to you and your children. The chosen artists start in the Renaissance and move roughly forward in history to modern times and then return to the earliest artists and begin a basic historical rotation for a second, and then a third time throughout the twelve years. Every two or three years, an ancient art or architecture term is included. Feel free to mix and match terms and to swap out artists as desired. For example, Canadians may want to spend a term with the Group of Seven artists. The purpose of the artist study is to appreciate and interact with great art. This is highly subjective. There are no definitive artists or pieces that every person should know. We have tried to include the most common here, in addition to several women artists who often remain unknown, and some world artists who are often lost in the plethora of European artists. We know there are great artists we have not included! We encourage you to share the ones you know and love with children, and be open to finding great art wherever you might encounter it! Dedham Vale (1802) See here. Flatford Mill (Scene on a Navigable River) (1816) (a small write-up is here.) This is the largest canvas he painted at about 6 feet. 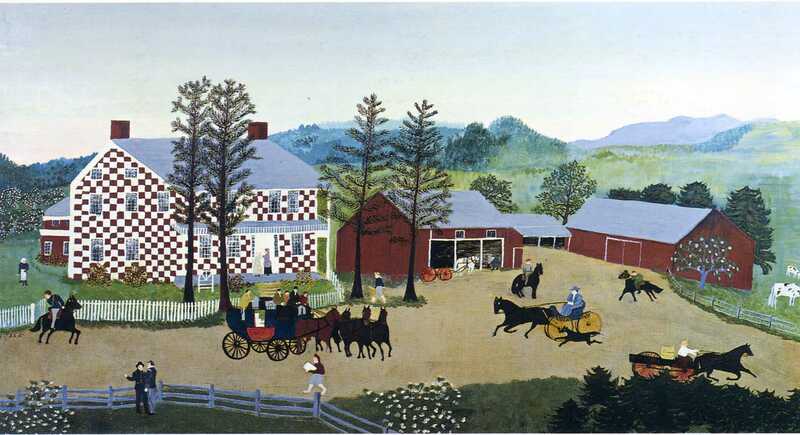 A documentary made before she died: Grandma Moses! 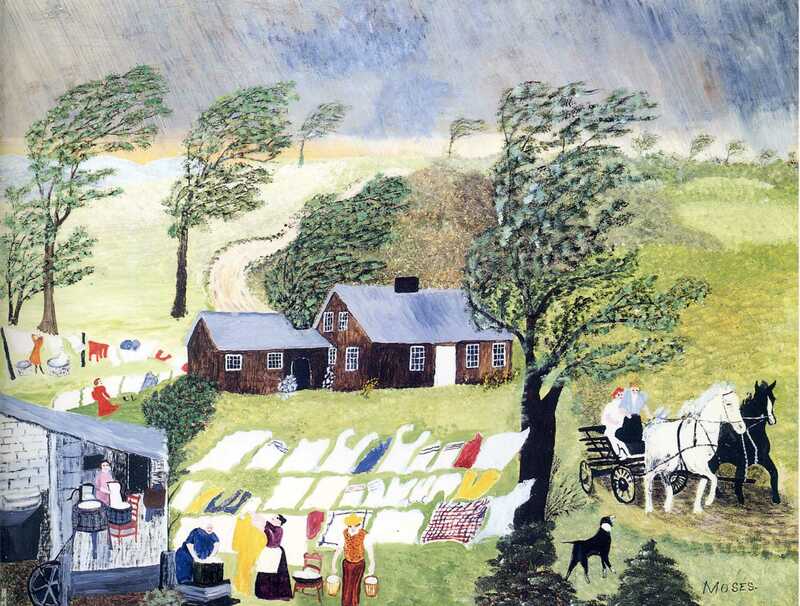 America’s Most Loved Painter of Folk Art! See this lesson plan for ideas on discussing her art. The Checkered House was a local legend. Situated along the Cambridge Turnpike, it was an inn where stagecoach drivers had changed horses as far back as the eighteenth century. 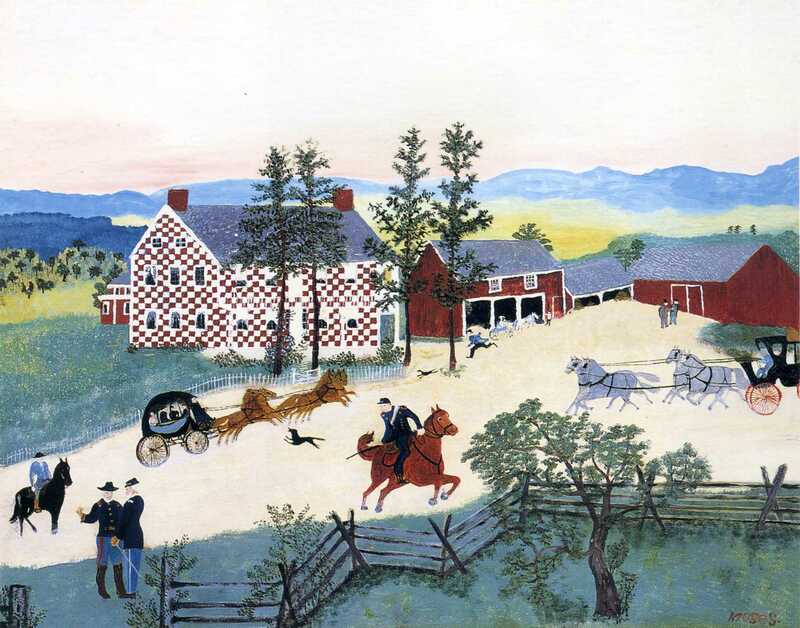 During the Revolutionary War, the inn served as General Baum’s headquarters and field hospital. Its checkerboard front made the house a distinctive landmark that was remembered long after it burned in 1907. 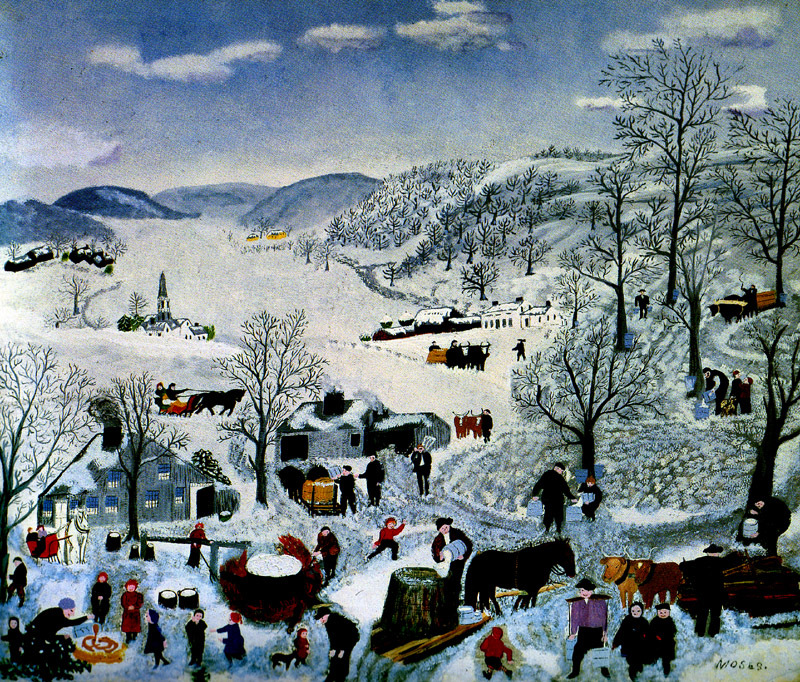 Moses painted a number of versions of “Checkered House,” in both winter and summer. 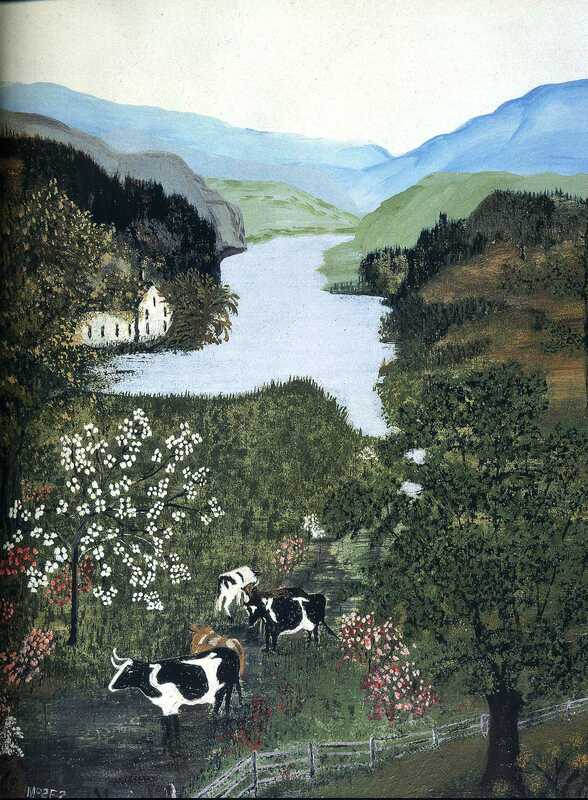 When asked how she managed to come up with a new composition each time, she said she imagined the scene as if she were looking at it through a window. By then shifting her viewpoint slightly, she could cause the elements to fall into place differently. Compare with this one, this one, and this one in winter. and set them all a-flying. go flying off like witches. I lost my Sunday breeches. alas too late to save them. 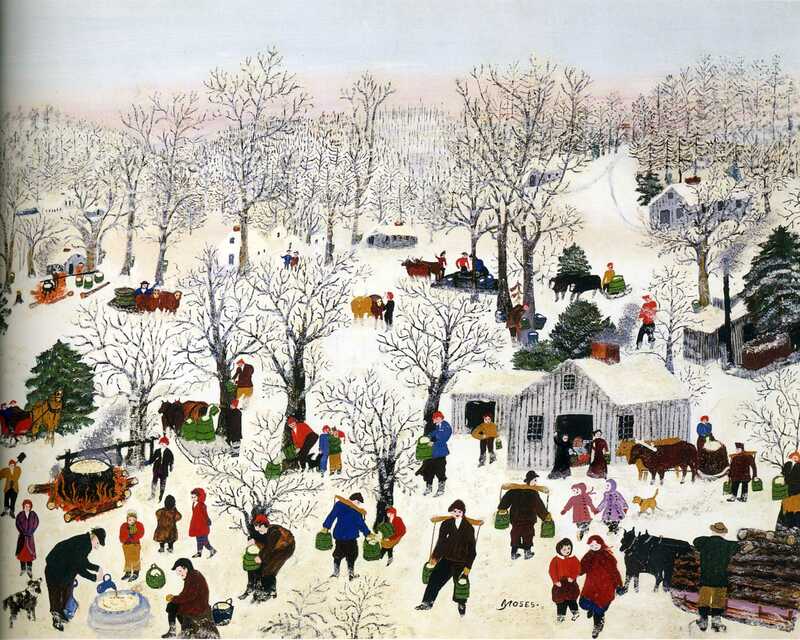 Sugaring Off (1955) Like the checkered house paintings, Grandma Moses painted many version of this iconic early sprint event; see also. Our original list had over 75 recommendations. We have included them here for your inspiration. Louise Élisabeth Vigée Le Brun (1755 – 1842), French portraitist.